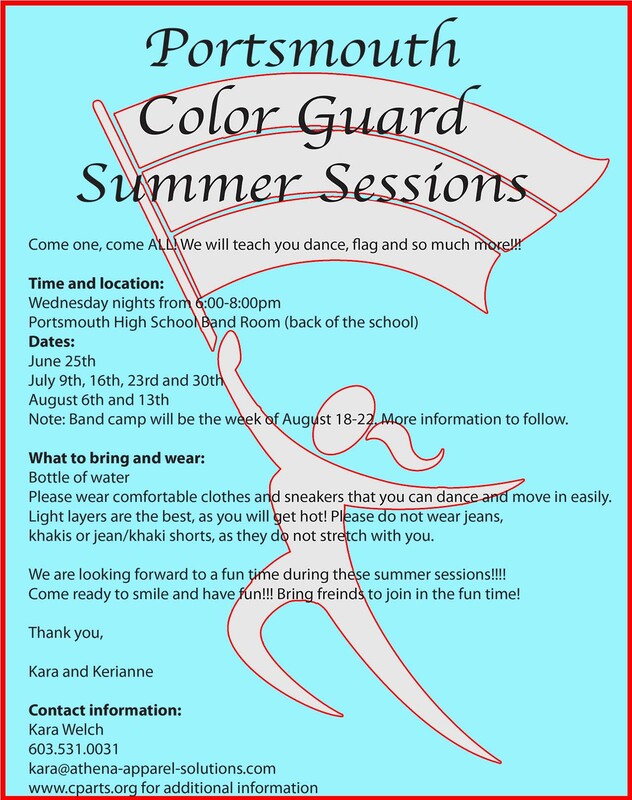 Summer Colorguard Training Has Started! The summer has arrived and Colorguard training is in full swing. We have had two training sessions so far and over 25 students are participating. Any student in grades 6-12 may attend. Come by and give it a try, there is no cost. If you have any questions, please feel free to email Kara Welch. Here are some great videos that give you an idea of what colorguard is all about. PHS Colorguard: The Experience The password is "PHS"